Southern California is home to a wide variety of trees, which are a part of our landscape. Properly maintained, these trees perform a job, tell a story, and are even beautiful. However, there are times when a tree can cause a serious injury or fatality to an unsuspecting person or motorist. These injuries often look like freak accidents, but expert witnesses know that improperly maintained trees cause injuries far too often. In fact, many fallen limbs are easily predictable. Property owners have a duty to inspect trees on their property, and if a tree injures someone on their property and they knew or should have known about the hazard, they may be held liable for damages. If you or a loved one has been injured by a falling tree or tree branch, contact us today for a free and confidential consultation. We are experienced premises liability attorneys who will work with you one on one. Diseased, deceased, or decaying trees present a major hazard. A sudden limb drop can severely injure or kill anyone under or near the tree. Tree branches can interfere with people’s ability to see when driving, block road signs, and they can fall down at parks. Some of the parks in the area with large trees include Cypress Park, Elysian Park, Hermon Park, Griffith Park, Penn Park, Topanga Park and Sycamore Park in LA, Glendale, Whittier and beyond, Beverly Hills and Calabasas. There are even more parks maintained by the Los Angeles Department of Recreation and Parks not listed here. 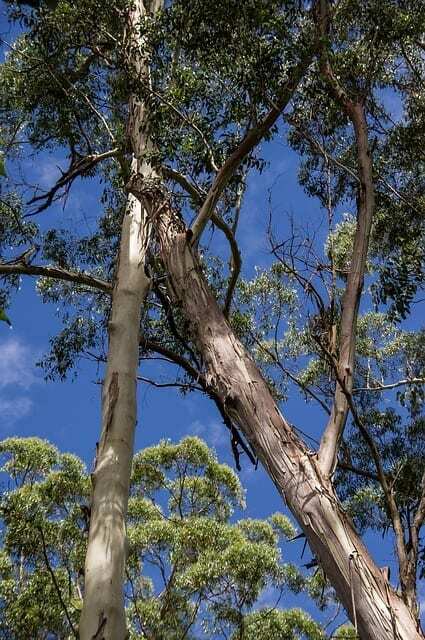 Types of trees which cause injuries in our area include Palm, Pine, Crape Myrtle, Sweetgum, Mimosa, Oak, Birch, Ironwood, and huge, majestic Eucalyptus trees, sometimes call Sugar Gum trees. Eucalyptus tress in particular pose major risks. In the 1970s, many Eucalyptus trees were planted in our area, but were improperly selected. Limb defects are major safety hazards, especially when neglected. Root rot, limb decay, or decay in the heart of the tree’s wood lead to huge, heavy limbs which the tree may shed at any moment. These trees have resulted in many lawsuits over the years. Owners of these trees should have certified arborists who help maintain these trees. If you or a loved one has been injured by a tree or tree limb, contact us today for a free consultation. Injury claims involving trees can be complex legal matters. You deserve full and fair compensation, and our goal is to maximize that compensation for you.